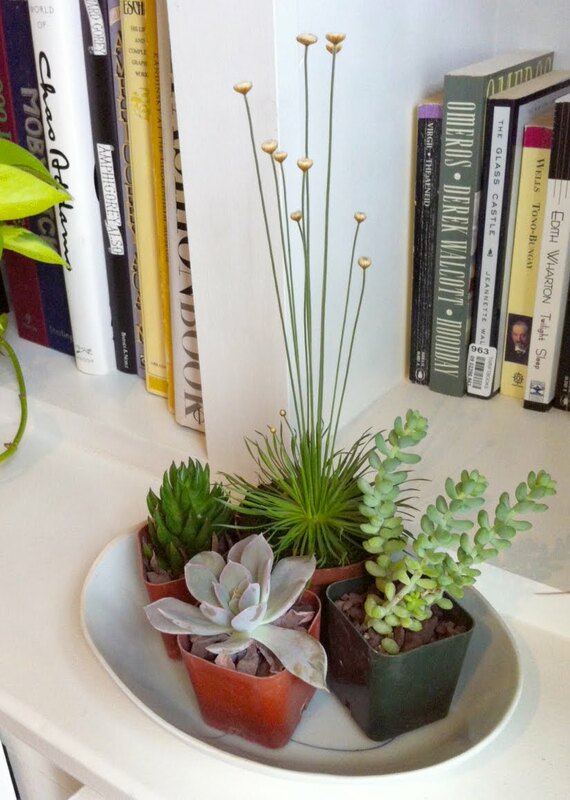 After yet another lovely little while at Terrain (oh, that place is amazing... sigh), we came home with this grouping of tiny succulents and that amazing spiky satellite plant. I love the staggered height effect. Now let's just cross our fingers that they survive... because out of these guys? Only the elephant palm remains.